Tigertail Beach is one of the most popular beaches in Collier County and is listed as a birding site by the Florida Fish & Wildlife Conservation Commission on the organization's South Florida Birding Trail pamphlet. 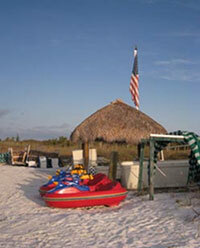 Many visitors enjoy witnessing the many wildlife that take into action at Tigertail Beach. The Commission touts Collier County's Tigertail Beach as one of the best birding sites in Southwest Florida. Some of the many species of birds on the site include Wilson's, piping and snowy plovers, least terns, roseate spoonbills, red knots, osprey, falcons bald eagles and of course traditional pelicans. Rental Stand for Variety of Water Sport Toys, Umbrellas, Chairs, etc. 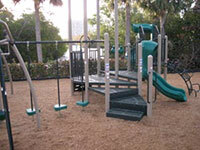 Entrance Located at the Intersection of Spinnaker Dr. and Hernando Dr.
South Marco Beach Access is a 70-parking space lot with rest room access. The parking lot is located on Swallow Avenue and is a short walk across South Collier Boulevard to a one-acre beach access. 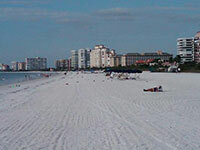 The walk is lined with sabal palm and is surrounded by plush hotels on Marco Island. Discover this get away!